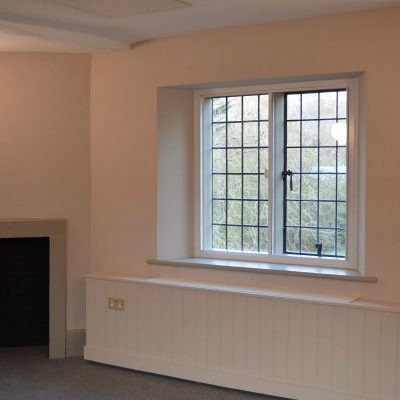 Sitting close to the banks of the River Thames in leafy West London, Selectaglaze secondary glazing was chosen to help improve the thermal, acoustic and security properties of one of London’s historic palaces. The site is rich in history with various objects and artefacts found on the grounds over the years, including; remains of several large buildings and evidence of Neolithic and Roman settlements, pilgrim badges, medieval stones and a sword which has been dated back to the 1st century. The last Bishop of London at the Palace left in the 1970s, when the London Borough of Hammersmith and Fulham took out a 100 year lease on the site. 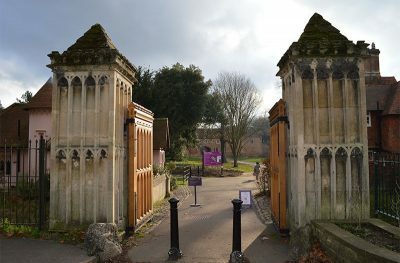 After this, the Palace and gardens suffered a period of neglect, so in 2011 Fulham Palace Trust was set up to oversee the estate. In 2005 a large restoration project began, supported by the Heritage Lottery Fund, corporate sponsors and private individuals. The works have been carried out in three phases, the last of which is due to be completed in spring 2019 seeing restoration to the Tudor quadrangle and the botanic garden. As part of the £3.8m phase III restoration, Purcell Architects was engaged to produce a sensitive design for the renovations, not only with the building at the forefront of the plans, but also ‘future-proofing’ it for years to come. This meant upgrading old electrical circuits/feeds and plumbing, which is now hidden in decorative ducts, as well as building in ways to add extra cabling in the future if needed, with feeds and run-offs to all rooms. Sykes and Son Ltd, specialists in the refurbishment of historic buildings was appointed main contractor and approached Selectaglaze to provide the secondary glazing element of the works, following a previous successful working relationship at Syon House. 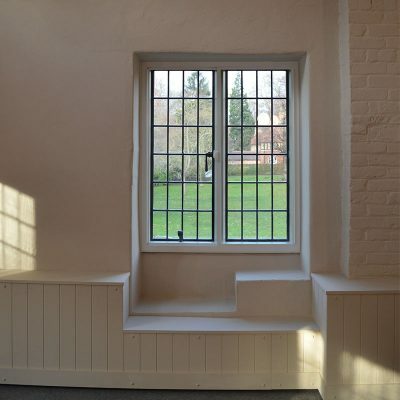 The original single pane Tudor windows could not be replaced due to the Listing of the building and did little to stop draughts, retain heat or stop noise ingress from the overhead aircraft on the Heathrow flight path. None of the windows were plumb or true, the walls slope and the ceilings dip. This made the installation of the secondary glazing very difficult. 34 units were manufactured for the office areas which were a mixture of Series 10 2 and 3 HS, plus some Series 45 HC. 6.8mm acoustic laminate glass was used to improve the acoustic and thermal performance. Fitch catches and slimline lockable handles were used to add an element of security. The most complex part was the measuring and production of the splayed timber grounds, which were colour matched and then carefully scribed on site to ensure a good fit. 11 units were installed to the museum area; 3 of which were large (2308mm (h) x 1502 (w)) Series 85 2 HS enhanced security units to meet performance requirements for the Government Indemnity Scheme. Founded in 1966, Royal Warrant Holder Selectaglaze has gained a reputation as a leading secondary glazing specialist offering high performance noise insulation, improved building energy performance, environmental control and certified security.